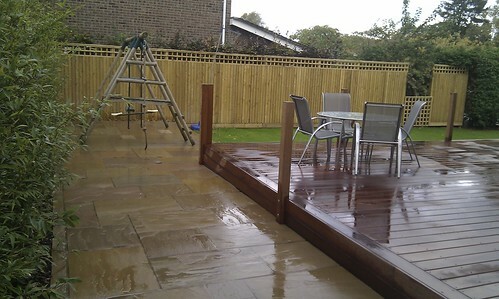 Hardwood Decking Alderley Edge - Modern Family Garden. 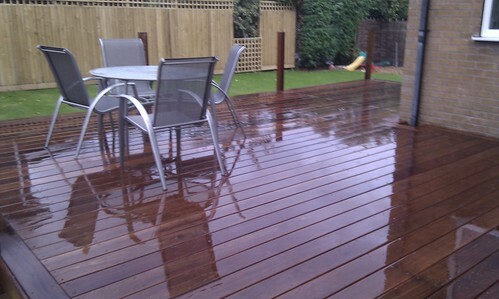 This decking project in Alderley Edge allowed us to use one of our favourite products, hardwood decking. 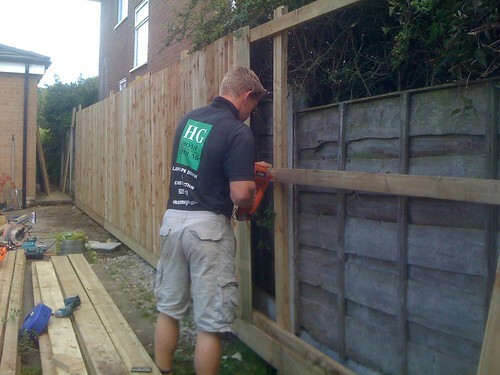 After a site consultation, we wree able to produce a series of design drafts which fitted the clients needs. 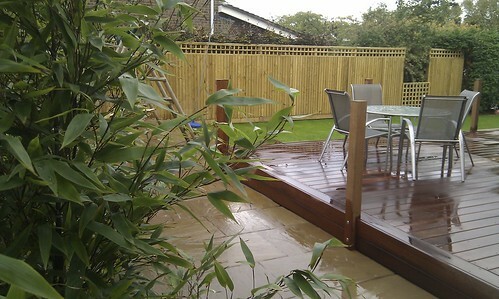 The client had a strong ideas of how the final garden would look, and which materials they wished to use. 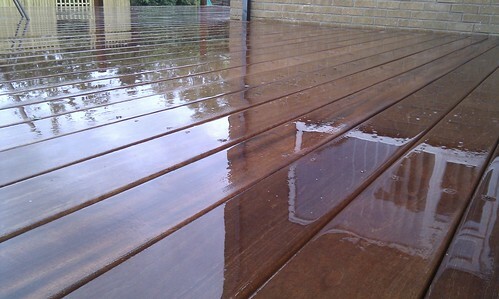 After suggesting the use of hardwood decking, for both its longevity and aestetic properties, it was decided that dekcing would be built using balau hardwood decking. 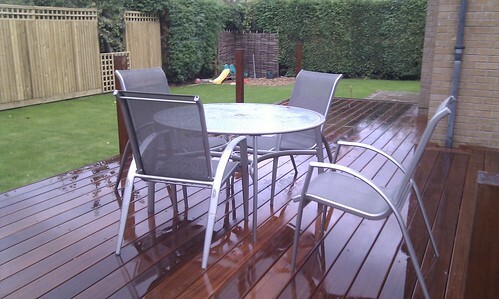 This would be the main famliy entertaining space, seamless joining the garden and home spaces. 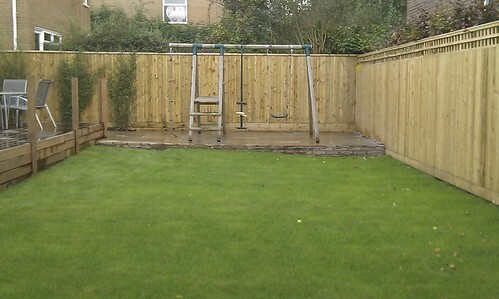 A new feather egde close board fence line visually enhanced the perimeter of the garden,and gave the client the security and privacy they sought. 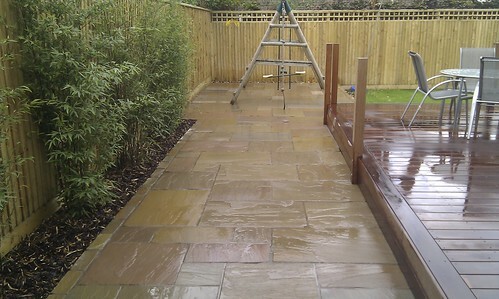 A new lawn area gives ample play space for the children to enjoy and the new Indian Sandstone paving area creates a stunning visual contrast to the rich colours of the balau decking are. 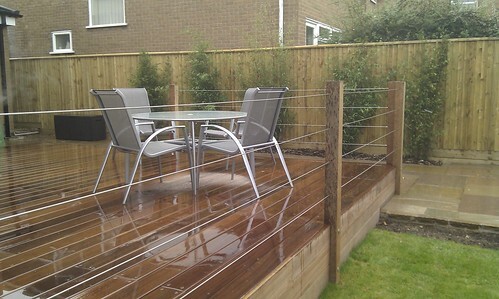 The inclusion of garden lighting and niche elements such as the stainless steel wire balustrade, give the family garden a modern twist! 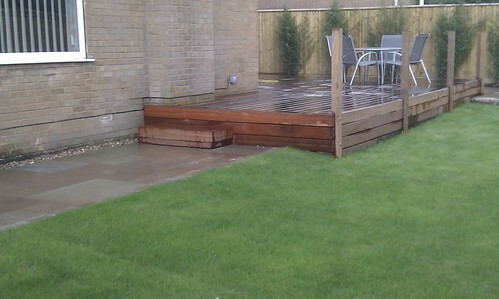 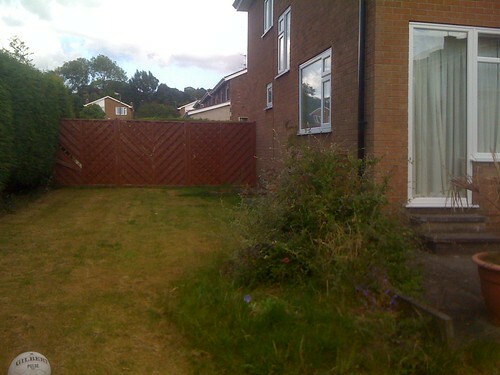 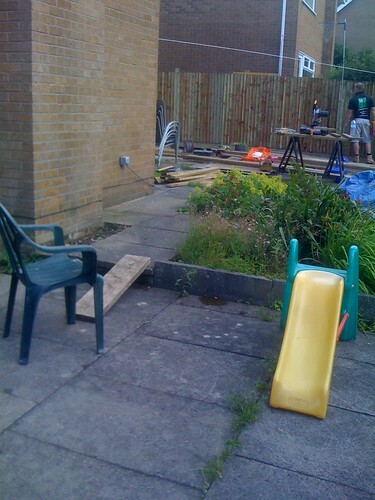 The project was completed on target and budget with a final build cost of £12500. 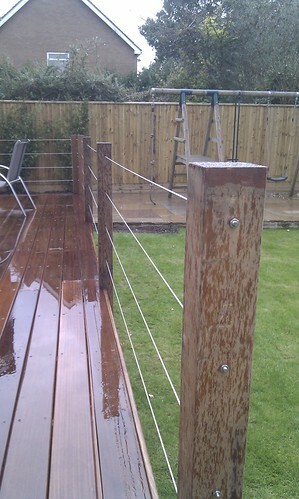 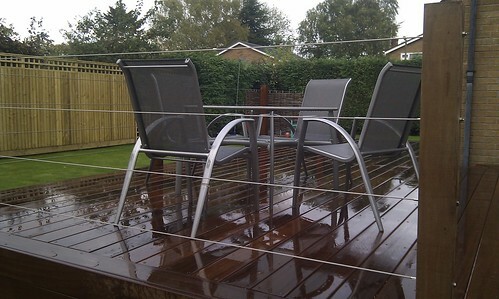 Alderley Edge Decking. 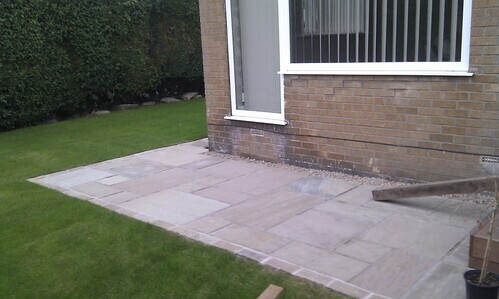 Paving Alderley Edge. 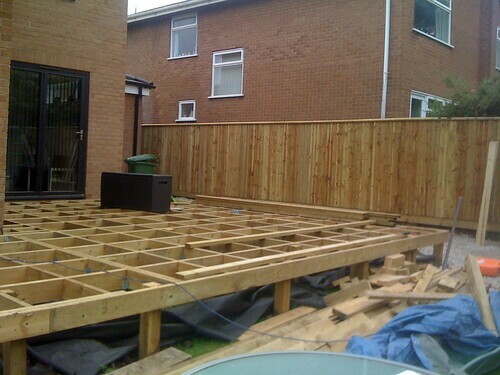 Decking Alderley Edge. 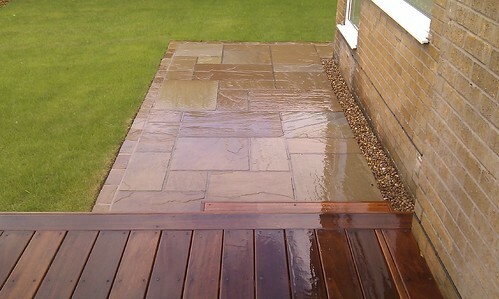 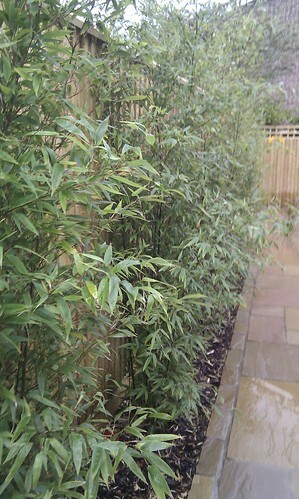 Landscaping Alderley Edge. 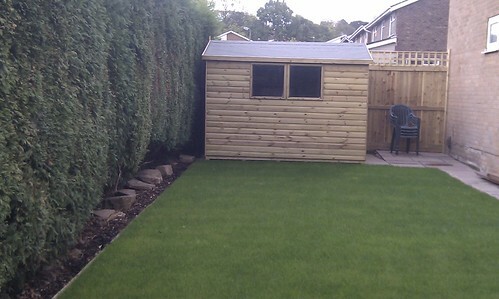 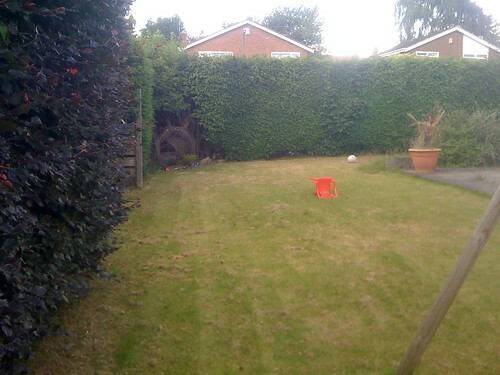 Alderley Edge Landscaping. 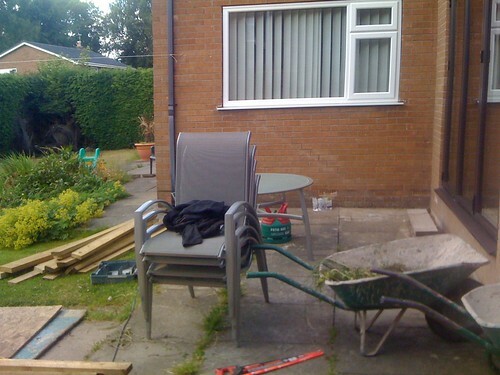 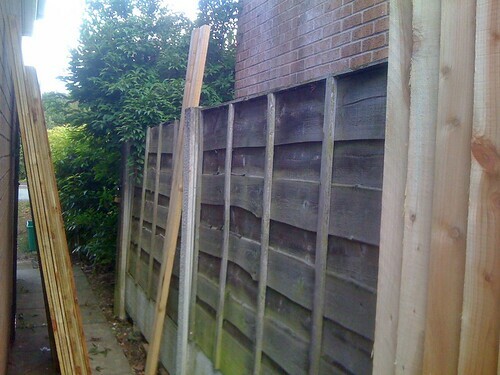 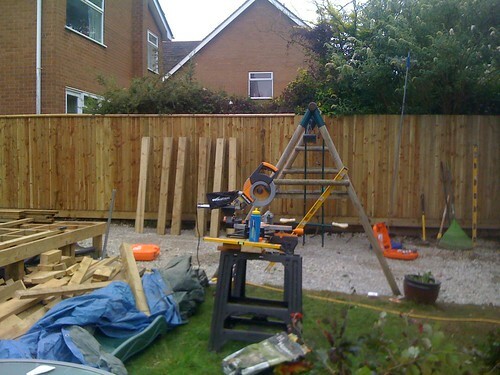 Landscapers Alderley Edge. 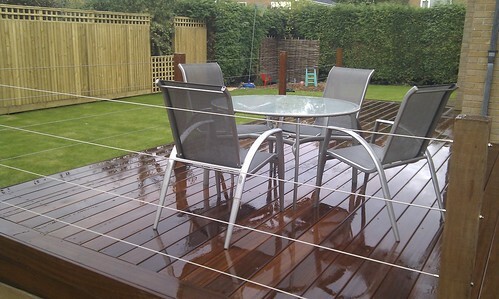 Hardwood Decking Alderley Edge.